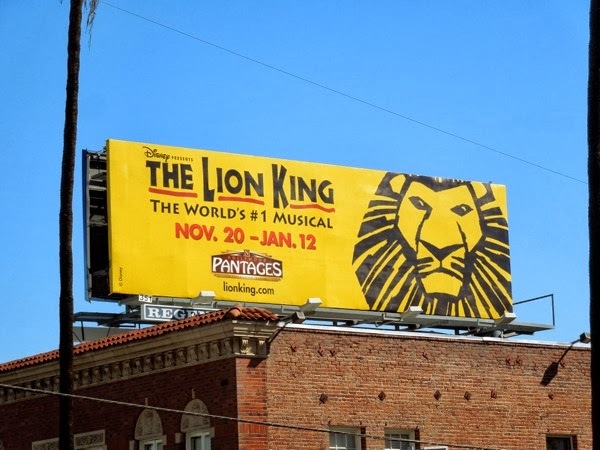 Just like the circle of life, Disney's stage show adaptation of the 1994 hit animated feature The Lion King returns to the Pantages Theatre in L.A. for the holiday season from November 20, 2013 to January 12, 2014, and to promote its limited run the musical receives these instantly recognisable billboards along Sunset Boulevard. 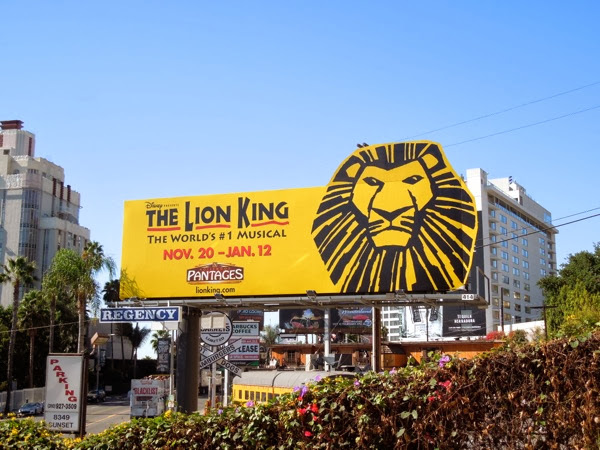 The highest-grossing musical of all time since its debut in 1997 is about one lion cub's journey from birth to adulthood in the African Pride Lands and his adventures along the way. 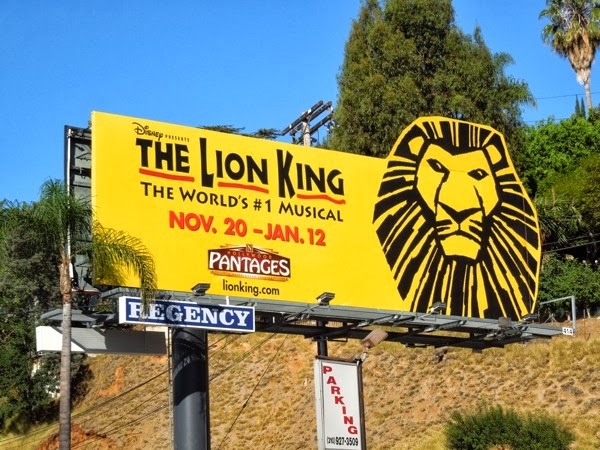 Like the movie, the stage musical features music by Elton John and lyrics by Tim Rice, plus uses puppets and actors in animal costumes to magically bring the characters to life. 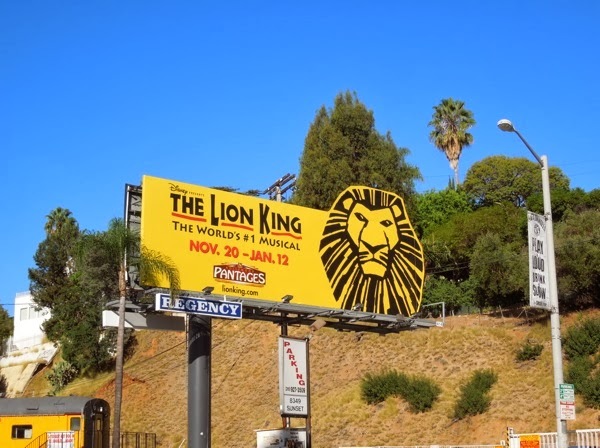 The design of The Lion King musical logo, with the grown up Simba's lion mane, really lends itself to the special extension treatment and the bright yellow colour really pops and catches your eye. 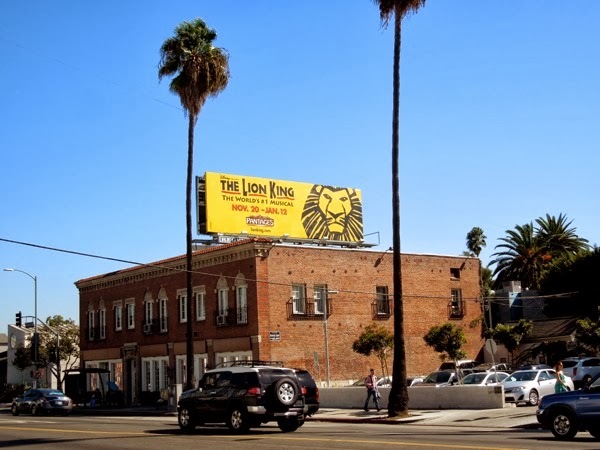 These vibrant billboards for the touring version of The Lion King Musical were snapped along L.A.'s busy Sunset Boulevard on October 5, 2013.